Does low-wage work lead to political alienation? Picture by Daniel Lobo on Flickr. This special issue gives an overview about the current state of the hard-to-reach research and attempts to combine theoretical discussions, methodological considerations with experiences from the fields. It offers insights into possible links between non-probability sampling and hard-to-reach populations on the one hand, and different approaches to address the aforementioned problems via the praxis of each methodology. The special issue was inspired by a PUMA-Symposium 2017, which was organized by two of the guest editors of the Johannes Kepler University Linz (JKU), Johann Bacher and Andreas Quatember, within the PUMA-project of the Austrian social sciences. In this context different sampling issues and different solution attempts were discussed. The editorship by two researchers of the Robert Koch Institute (RKI), Johannes Lemcke und Patrick Schmich, was guided by the Institute´s interest to a better integration of the hard-to-reach groups into its health monitoring system. The RKI as the public health institute in Germany has the obligation to monitor the health status of the whole population in order to offer policy makers valid information within the decision process. As a result of this commitment, various feasibility studies were carried out, which are presented in this special issue alongside initial results. In this respect the inclusion of elderly and people with migration background is a crucial task for the RKI. Survey Methods: Insights from the Field is a peer-reviewed online journal. Its goal is to promote professional exchange on practical survey research issues and discussion on new and promising paths in survey research. The journal is orientated towards the daily work of surveying, including questionnaire design, sampling, interviewer training, fieldwork administration, data preparation, documentation and dissemination. The focus of the journal is on practical issues of survey research. The journal is edited jointly by FORS, GESIS and PUMA and supported by a multi-national panel of Associate Editors and Advisory and Editorial Boards. Check out our annual report 2018 with insightful news what we have been up to last year. The report includes a summary of the 2018 activities in regard of our surveys, the data and research information services DARIS, our scollaborations, publications and events, and our scientific findings in methodological research. The registration for the special anniversary edition of the International Conference of Panel Data Users is now open ! The conference will include a plenary session with Prof. Monica Budowski on the historical development of the Swiss Household Panel, a round table on the future of the SHP and household panels in general, as well as thematic sessions. The thematic sessions cover a variety of topics, including health and well-being, education and labour market, socio-economic inequality and mobility, family and gender, religion and religiosity, ethnic minorities and migration, politics and attitudes, households’ energy demand, survey methodology, and longitudinal methods. How do (nonstandard) occupational trajectories affect health ? Francesco Giudici and Davide Morselli have analyzed data from the life history calendar of the Swiss Household Panel to observe occupational trajectories across the lifespan. The results show that discontinuous occupational trajectories (characterized by continuous jumps between temporary work, long periods of unemployment, social help, inactivity or part-time work) are associated with higher depressive symptoms, lower life course mental health and lower self-reported health during an individual’s first 20 years in the world of work. Read the full article. We hereby invite scholars to propose questions for the follow-up survey administered after the ISSP 2020 module on “Environment”. Proposals will be selected according to their scientific quality, thematic relevance and survey applicability. Successful proposals will be fielded in spring 2020 and data will be available by the end of 2020. The deadline for submissions is Monday April 29th 2019. This is to announce that the programme of the 2019 Swiss Summer School in Social Science Methods has been published and on-line registration is now open. Go to https://forscenter.ch/summerschool for more information. SSHOC pools together Research Infrastructural excellence from the Social Sciences & Humanities Cluster Communities. SSHOC is one of the five European Union H2020 Programme “INFRA-EOSC-2018” recently funded cluster projects that will leverage and interconnect existing and new infrastructures from the SSH ERICs and foster interdisciplinary research and collaboration. FORS and SHARE are part of this ambitious project. 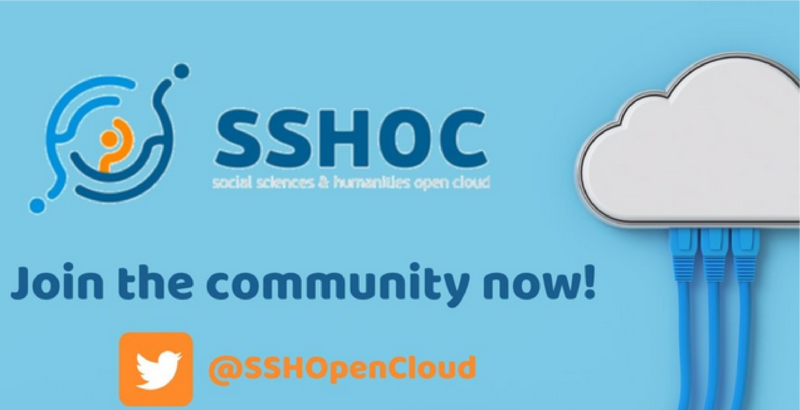 In total 47 organisations, experienced and skilled in Social Science & Humanities Infrastructures, have gathered from all over Europe to collaborate together on SSHOC, the Social Science and Humanities Open Science Cloud project, coordinated by CESSDA. Check out our new series The FORS Guides to survey methods and data management! Do you care about ethical issues in your research project or want to gain informed consent from your participants? Do you plan a web survey or need to measure income? Then, our newly published FORS Guides will answer your questions. And this is just the beginning! The FORS Guides provide you with practice-oriented information for your research project and offer support to researchers and students in social sciences. Written by experts from inside and outside of FORS, the FORS Guides are descriptive papers that summarise practical knowledge concerning survey methods and data management. Considering the Swiss context, the FORS Guides can be especially helpful for researchers working in Switzerland or with Swiss data. The FORS Guides are an ongoing publication series, additional guides will follow soon. The 19th wave of the SHP data is now available on FORSbase. Check out the SHP_I data for the years 1999 through 2017, the SHP_II data for the years 2004 through 2017, the SHP interviewer data for the years 2000, and 2003 to 2017 as we as additional data such as imputed income data and new variables. We strongly recommend that all users, also those who analyze previous waves, download the newest 2018 release as we constantly improve the quality of our data. 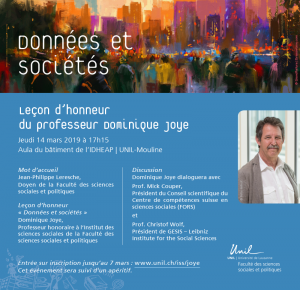 Professor Dominique Joye, first Associate Professor and then Ordinary Professor at the Institute of Social Sciences of the University of Lausanne and former member of the FORS Foundation and the Scientific Board will give his honorary lesson on Thursday, March 14, 2019 at 5:15 pm (Aula de l’IDHEAP). Professor Joye will review his professional background, which ranges from ecological data analysis to the study of social networks, urban sociology and local policies. He will give an overview of the results of his research, which is marked by two constants: social reality can only be understood by placing it in its context, and it involves thinking about the measures used. In a second part, Dominique Joye will invite two fellow researchers with whom he has collaborated on several occasions to join him in order to discuss the importance of data for social analysis and how to consider it in the future. Register now for the Second Swiss Longitudinal Data Fair ! Searching for the right longitudinal data for your doctoral work or new research project? This one-day event will include presentations and posters on various major Swiss longitudinal surveys in the social sciences, including TREE, the Swiss Household Panel, SHARE, CoCon and the LABB of the Swiss Federal Statistical Office and the DAB panel study (Determinants of educational choice and vocational training opportunities). The presenations will be followed by practical hands-on sessions in the afternoon. This special issue brings together a large variety of contributions dealing with party choice, political attitudes and the dynamics of electoral campaigns in Switzerland. The articles in this volume address central issues of the literature dealing with the two-dimensional structure of political competition, take up key questions of the dynamics of election campaigns, and finally echo a large interest for the topic of populism, not only on the side of the parties but also on the side of the voters. The introduction also underlines the new and innovative ways in which the articles link the different datasets together in order to address substantial questions on the complexity of the environment in which voters form their choice and political parties operate during an election campaign. Reference: Nathalie Giger, Line Rennwald & Anke Tresch (2018)(eds.). The 2015 Swiss National Elections. Swiss Political Science Review 24(4): 371-574. 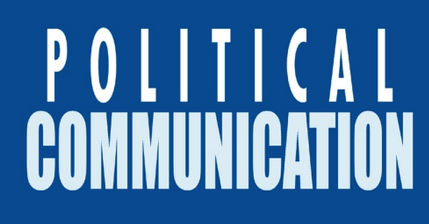 Check out the new article by Anke Tresch, project director of the Swiss Election Study Selects at FORS & Alexandra Feddersen “The (In)stability of Voters’ Perceptions of Competence and Associative Issue Ownership: The Role of Media Campaign Coverage” in the T&F Journal Political Communication.